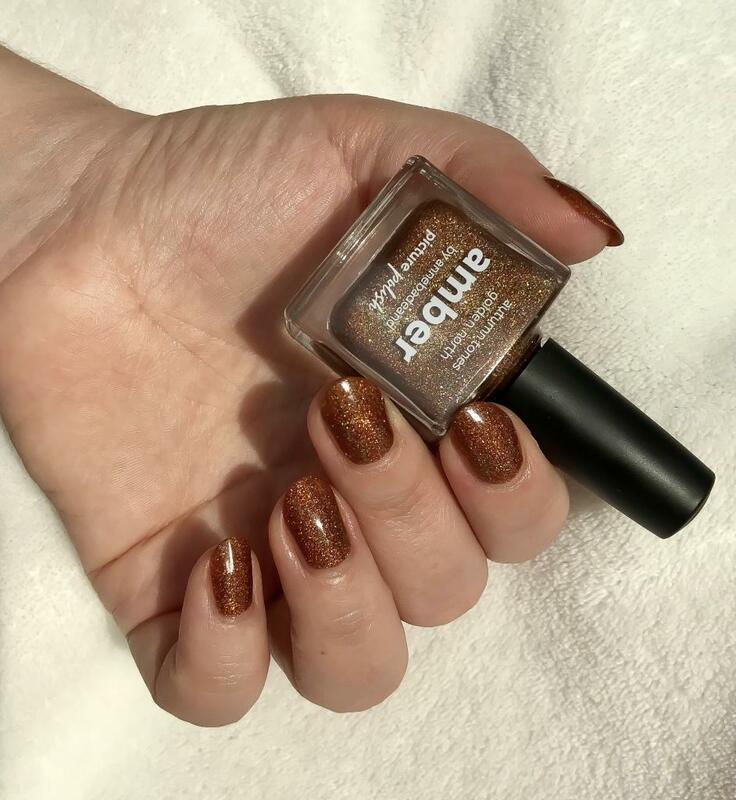 Amber Nail Polish Review by Guest Blogger | Glitter, Fork & Paper. Amber is a nail polish that is part of the Collaboration Shades collection. Indeed, it was created in collaboration with the Instagrammer @annebadeand who said that she was inspired by ‘the amber colours, brown to red and golden autumn tones in the Norwegian mountains’. When I look at the bottle, I really understand what she meant. Sticking to the shade description, Picture Polish says of Amber that it is a golden brown. First and foremost, the name Amber suits this lacquer perfectly as it is a subtle balance of brown and gold, but I would add that on top of that it is saturated with teeny tiny gold, copper and silver holos and those silver ones shift from silver to green depending on the light. It is an amazing shade. Amber’s brush is the same as any other Picture Polish lacquer so it is quite flat, of medium length, slightly wider towards the end and cut straight. I say it every time I do a review on a Picture Polish lacquer, this brush is not my favorite but I achieve my manicures easily with it so it is all fine. 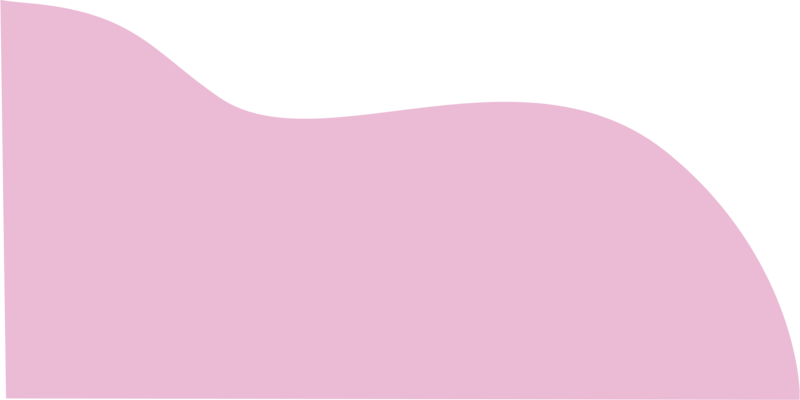 I said that it applies like a dream and it is partly thanks to its texture. Amber Nail Polish has that gel texture that smooths by itself and which I love so much! Opacity wise, Amber is a super opaque polish. On my swatches, I have applied three thin coats because that’s the way I apply 99% of lacquers but you will get the same result with two thicker coats. Amber dries quickly on my nails, just like any Picture Polish lacquer of that texture. Among others, I am thinking about Dragon and Foxy. That said, Amber does not dry so quickly that I do not have time to go over a brush stroke to correct it for instance and this is really pleasant. On my swatch Amber is naked, without any top coat. I believe that you see how naturally shiny it is! That’s one of the reasons why it is an amazing polish in my opinion because without any top coat on, I very well see its amber base but its holos and their reflects just as well. As you can tell from my pictures, I applied it on a sunny day and it literally blew my mind away! As usual, I have applied a top coat afterwards and finish wise, it did not bring anything more to Amber. When I saw its texture while opening the bottle and applying it for the first time. I knew right away that it would hold really well on my nails. And I was right! Amber held perfectly on my nails for a solid 5 days and this is all I ask for from my polishes. When the time came to remove Amber Nail Polish. I grabbed my acetone-free nail polish remover and I poured some on a cotton pad. I let it sit on each of my nails for a few seconds and without even rubbing, Amber was gone. It did not stain my nails and did not leave any holo either.